Call us at (505) 675-0745. For the latest news and updates, visit facebook.com/rioranchoroadrunners.33. Thank you for visiting chairbasketball.com. Hopefully, you will find that this website can be helpful towards building our wheelchair basketball community and that you will join us for that reason. Membership is free and provides many benefits. Members are invited to use our Forum as a way of learning more about wheelchair basketball, sharing your thoughts on future directions for our sport, letting people know about the wheelchair basketball teams in your area and even to help organize events for your own wheelchair basketball team. If you just want a free listing of an old sports chair or anything related to wheelchair basketball and see if there are buyers or swappers out there, that would be cool too. Rio Rancho Road Runners, LLC began as a limited liability corporation in October 2016 with a mission to break down barriers that have prevented the widespread acceptance of athletes with disabilities as worthy of inclusion in the ranks of our finest athletes. In just a little over a year we have accomplished a lot, but we still have a lot of work ahead of us. We have obtained funding commitments from a group of investors sufficient to fund all of our program objectives, hired an Executive Assistant, and, perhaps most importantly of all, we have prepared a business plan that can be replicated anywhere else in our country. If you are as passionate about promoting wheelchair basketball as we are, we would love to partner up with you too. Our programs, in addition to the launching of this website, are in the beginnings of their development phases and are all designed to work in tandem with our overall business plan. The ultimate success of these programs, however, is totally dependent on people like you. One of our earliest priorities will be to establish a Road Runner Youth Wheelchair Basketball League. We are prepared to work with people instrumental in community organizations, such as the Albuquerque Public School System, Rio Rancho Public School System, Boys and Girls Club affiliates, LifeROOTS, and possible volunteers, such as yourself, in setting up a league structure, and a loan system for which the Rio Rancho Road Runners will contribute 24 sports chairs suitable for active play by school kids. We are also in the process of establishing open adult wheelchair basketball scrimmages at the McDermott Athletic Center in Rio Rancho (the "MAC"). And, as if those projects weren't ambitious enough, we have secured sufficient funding to handle the travel and staffing costs of a Division II NWBA team, which will hopefully be established in time for the 2018 -- 2019 season. So, buckle up your waist straps, and let's play CHAIRBALL!!!!!! Click here to become a member of chairbasketball.com and help promote wheelchair basketball. Membership has many benefits. It entitles you to use our Buy Sell corner so you can post a free listing (all listings must be related to wheelchair basketball and are subject to administrative approval). All visitors are entitled to read all posts to our Forum, but as a member you are entitled to fully participate and post comments as a way of engaging in community dialogue (Forum postings are subject to administrative approval based on the general guideline that they promote, rather than impede, the sport of wheelchair basketball) and you would be eligible to submit events for display on our Calendar of Events. If you would like to see a forum added to our Forum you can request that a forum be added by email to kw.chairball@gmail.com. In this email request, please state a brief description of the forum's relevant area of discussion and whether you or somebody you know is willing to volunteer as the moderator for this forum. 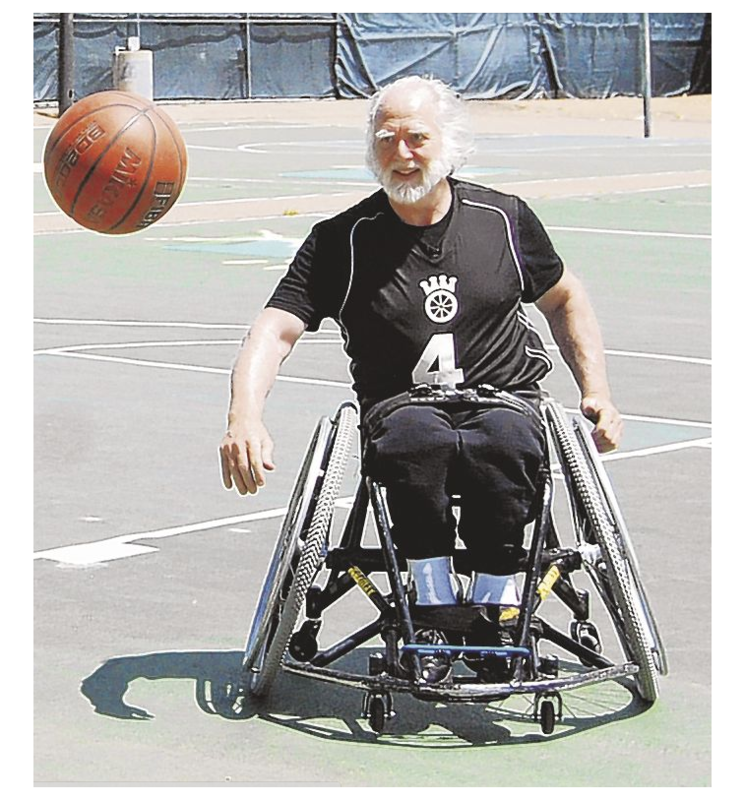 Examples of fora that could help promote wheelchair basketball are: "Missalooga Rollin' Hotwires" (or whatever the name of your favorite wheelchair basketball team is), "The Fiftieth Anniversary of Wheelchair Basketball" (a published book title), and "My favorite sports chair manufacturer" (a forum for reviewing wheelchair products). If you would like to submit a listing for our Calendar of Events, please understand that there will be preference for New Mexico listings until such time that the functionality of this website is expanded to allow full national coverage.